Home > Blog > Why Does Great Web Design Take So Long? We’ve all seen the TV commercials for those easy-to-build websites. It’s simple and can be done in under an hour – right? Yes, that is true for template website sites. However, for custom websites designed by experienced professionals with UX experience, the process takes longer and for good reason. As a B2B web design and marketing agency, we understand the confusion regarding timelines for building websites, especially since those TV ads say it can be done so quickly. (And TV ads never exaggerate – right?) To shed a little light on the process, we are going share why great B2B web designs take longer to create. The major difference between those throw-together website services and a custom design built by a B2B web design agency is that one is a template and one is a custom design. Template websites are ideal for start-up businesses that don’t have any capital or are small 1 or 2 person firms where the revenue is lower. 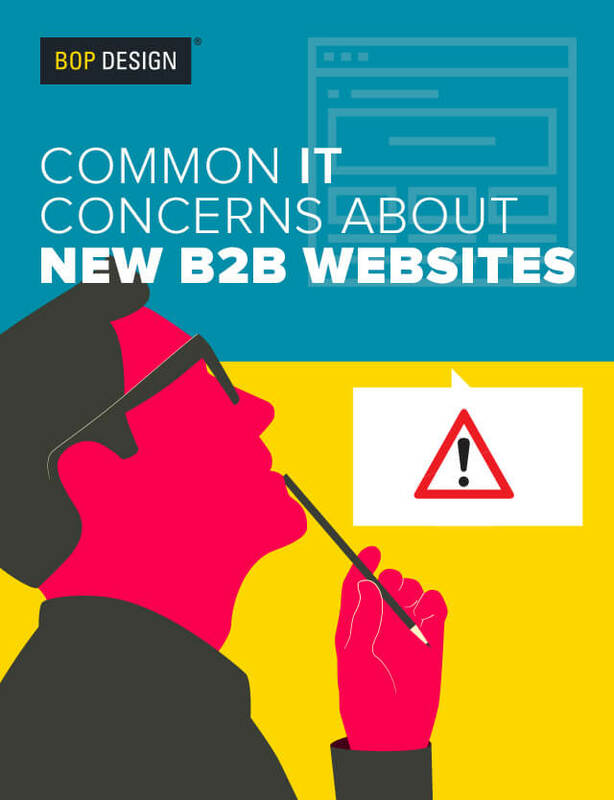 However, for B2B firms that are looking to create a polished, credible presence, a custom website is the way to go. This enables the firm to take complete control of the design and functionality of the website to ensure it is consistent with the branding, builds value with prospects and clients, and supports all business and sales objectives. 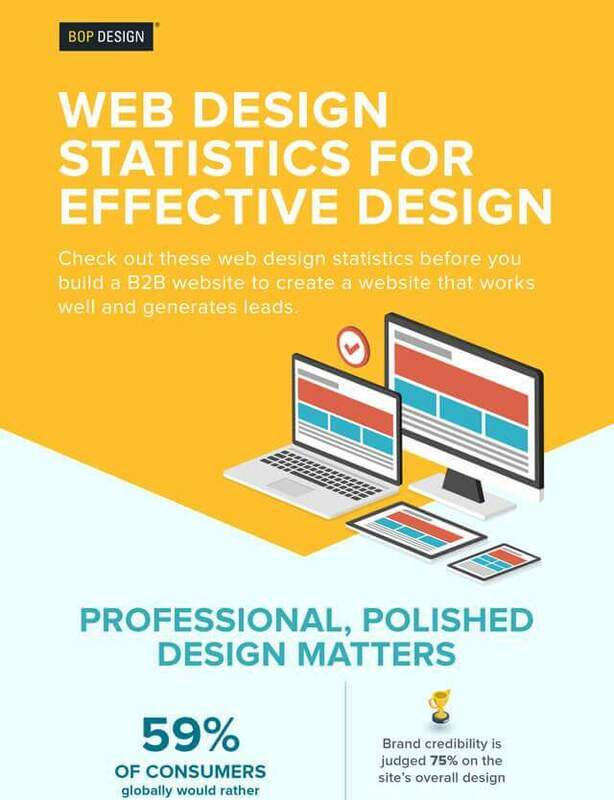 It enables the web design agency to produce a website that has all the features and capabilities needed to attract, convince, and convert website visitors into new client leads. Interested in a behind-the-scenes look at web design and the amount of time each stage takes? Check out our post on Behind the Scenes of a Web Design project to see what it takes to create a custom B2B website. We aren’t saying that those template websites create a poor user experience, but they aren’t built with a specific target market in mind. As a B2B firm, you likely have a target buyer persona for your products or services. Rather than trying to adapt a template website to that target market’s needs (and possibly falling short), it’s critical to build a website that meets (and exceeds) the needs of your ideal prospect. The great thing about human beings is that they are adaptable and changeable. For this very reason, the user experience is continually evolving and adapting to new technology. Remember 10+ years ago when mobile phones didn’t have the internet on them? (Yeah, neither do we.) 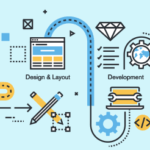 An experienced web designer is current on all the trends impacting the user experience and continually designs to craft a wonderful user experience. However, if the designer doesn’t know the unique needs and desires of your ideal buyer, how can the website meet or exceed those needs? A website for a pharmaceutical firm looking to attract investors doesn’t have the same function as a drilling tool manufacturer working with a distributor network or as an accounting firm looking to work with non-profit companies. As such, professional designers and content specialists need time to research the competitive landscape, find imagery or video that is relevant and appropriate for the industry, and keep on top of the latest trends. Your company has a unique value proposition that sets you apart from the competition, your website should be an extension of that value proposition with unique design and messaging that doesn’t look like everyone else’s website. Need to do a quick website audit? Check out our 5-Minute B2B Website Audit. The coding process for taking the design of the website and translating it is considered web development. Now, there are good web development practices and lazy web development practices. You certainly get what you pay for and will reap the benefits of the type of practices a seasoned web developer uses. A professional web developer experienced in building larger B2B websites will follow best practices for coding to improve page speed (load time), image rendering, and functionality. This will ensure the website features work appropriately and provide the end user with a seamless experience (no broken images, links, or slow load times). Content is critical to a great B2B website, and can take just as long to craft as the design itself. 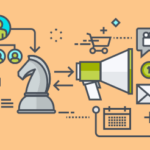 Many marketers underestimate the time that is involved to develop a strong content strategy and craft compelling copy that will resonate with website visitors. It’s counter-productive to slap copy together since it is central to conveying the right messaging. A custom web design solution should include content creation as essential to the process. In many cases, it will impact the overall look and feel of the website itself. At Bop Design, our design and content teams collaborate closely to make sure the graphics and copy are working together to create an amazing user experience. A proper search engine optimization strategy is crafted before a website is designed and built. This is because it will have an impact on the content created, design elements on the website, how the website is developed and structured, and how all the assets are labeled on the website. Not addressing SEO before the design of a website is a surefire way to miss certain SEO best practices. Additionally, every SEO strategy should be unique. There is no way for a templated website to conform to a custom SEO strategy that focuses on attracting your ideal audience online. Additionally, UX and SEO are intrinsically linked and work towards the same goal. It’s often impossible to address one without considering the other. While we agree that web design and development aren’t necessarily rocket science, it should be a deliberate, thoughtful process that focuses on the end goals of the website. Simply dropping images and changing colors in a templated website might work for certain businesses. However, for firms serious about effectively attracting, convincing, and converting new business, a custom B2B website is the best option. It allows for full control of the website’s functionality, search engine optimization, user experience, and brand representation. 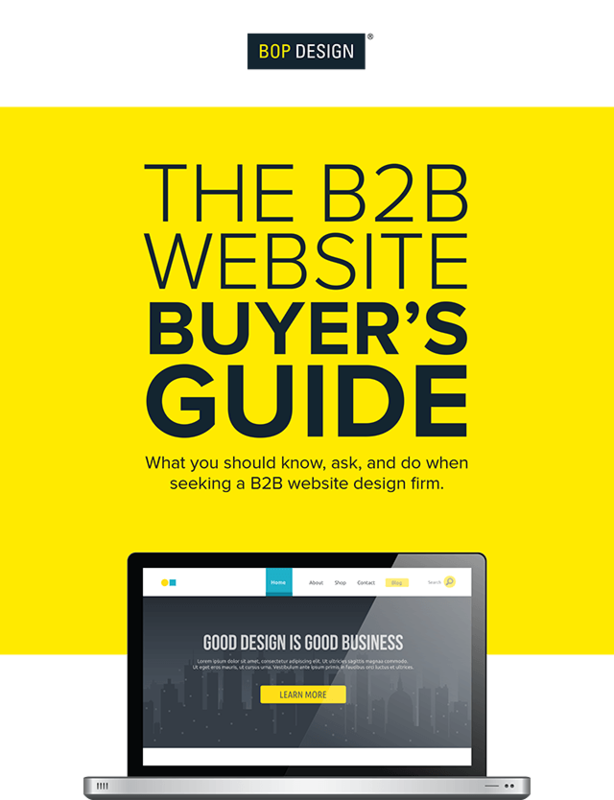 Interested in discussing your B2B website project? Contact us today to schedule a personalized consultation.